EVER WONDERED HOW FAMOUS COMPANIES GOT THEIR NAMES? 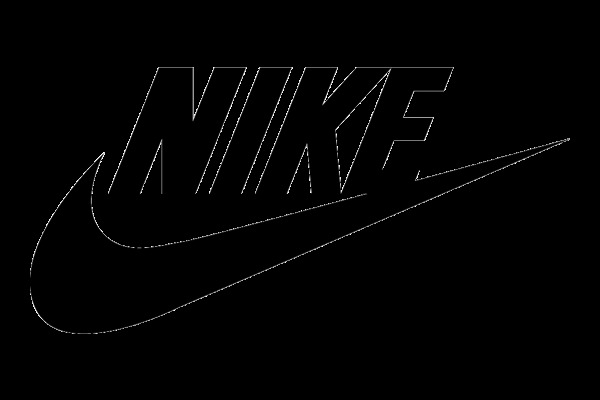 Nike: Named for the greek goddess of victory. The swoosh symbolises her flight. Skype: The original concept was Sky-Peer-to-Peer™, which morphed into Skyper, then Skype. Mercedes: This was actually financier's daughter's name. Adidas: The company name was taken from its founder Adolf (ADI) Dassler whose first name was shortened to the nickname Adi. Together with first three letters of his surname it formed ADIDAS. Apple Computers: It was the favourite fruit of founder Steve Jobs. He was three months late for filing a name for the business, and he threatened to call his company Apple Computers if the other colleagues didn't suggest a better name by 5 o'clock. CISCO: It is not an acronym as popularly believed. It's short for San Francisco. Corel: The name was derived from the founder's name Dr. Michael Cowpland. It stands for COwpland Research Laboratory. Google: The name started as a joke boasting about the amount of information the search-engine would be able to search. It was originally named 'Googol', a word for the number represented by 1 followed by 100 zeros. After founders - Stanford graduate students Sergey Brin and Larry Page presented their project to an angel investor; they received a cheque made out to 'Google'. So, instead of returning the cheque for correction, they decided to change the name to Google. Hotmail: Founder Jack Smith got the idea of accessing e-mail via the web from a computer anywhere in the world. When Sabeer Bhatia came up with the business plan for the mail service, he tried all kinds of names ending in 'mail' and finally settled for Hotmail as it included the letters "html" - the programming language used to write web pages. It was initially referred to as HoTMaiL with selective uppercasing. Hewlett Packard: Bill Hewlett and Dave Packard tossed a coin to decide whether the company they founded would be called Hewlett-Packard or Packard-Hewlett. Intel: Bob Noyce and Gordon Moore wanted to name their new company 'Moore Noyce' but that was already trademarked by a hotel chain so they had to settle for an acronym of INTegrated ELectronics. Lotus (Notes): Mitch Kapor got the name for his company from 'The Lotus Position' or 'Padmasana'. Kapor used to be a teacher of transcendental Meditation of Maharishi Mahesh Yogi. Microsoft: Coined by Bill Gates to represent the company that was devoted to MICROcomputer SOFTware. Originally christened Micro-Soft, the '-' was removed later on. Sony: It originated from the Latin word 'sonus' meaning sound and 'sonny' as lang used by Americans to refer to a bright youngster. SUN: Founded by 4 Stanford University buddies, SUN is the acronym for Stanford University Network. Andreas Bechtolsheim built a microcomputer; Vinod Khosla recruited him and Scott McNealy to manufacture computers based on it, and Bill Joy to develop a UNIX-based OS for the computer. Apache: It got its name because its founders got started by applying patches to code written for NCSA's httpd daemon. The result was 'A PAtCHy' server - thus, the name Apache Jakarta (project from Apache): A project constituted by SUN and Apache to create a web server handling servlets and JSPs. Jakarta was name of the conference room at SUN where most of the meetings between SUN and Apache took place. Tomcat: The servlet part of the Jakarta project. Tomcat was the code name for the JSDK 2.1 project inside SUN. C: Dennis Ritchie improved on the B programming language and called it 'New B'. He later called it C. Earlier B was created by Ken Thompson as a revision of the Bon programming language (named after his wife Bonnie). C++: Bjarne Stroustrup called his new language 'C with Classes' and then 'newC'. Because of which the original C began to be called 'old C' which was considered insulting to the C community. At this time Rick Mascitti suggested the name C++ as a successor to C.
GNU: A species of African antelope. Founder of the GNU project Richard Stallman liked the name because of the humour associated with its pronunciation and was also influenced by the children's song 'The Gnu Song' which is a song sung by a gnu. Also it fitted into the recursive acronym culture with 'GNU's Not Unix'. Java: Originally called Oak by creator James Gosling, from the tree that stood outside his window, the programming team had to look for a substitute as there was no other language with the same name. Java was selected from a list of suggestions. It came from the name of the coffee that the programmers drank. LG: Combination of two popular Korean brands Lucky and Goldstar. Linux: Linus Torvalds originally used the Minix OS on his system which here placed by his OS. Hence the working name was Linux (Linus' Minix). He thought the name to be too egotistical and planned to name it Freax (free+freak+x). His friend Ari Lemmke encouraged Linus to upload it to a network so it could be easily downloaded. Ari gave Linus a directory called 'Linux' on his FTP server, as he did not like the name Freax. (Linus parents named him after two-time Nobel Prize winner Linus Pauling). Mozilla: When Marc Andreessen, founder of Netscape, created a browser to replace Mosaic (also developed by him), it was named Mozilla (Mosaic-Killer, Godzilla). The marketing guys didn't like the name however and it was re-christened Netscape Navigator. Red Hat: Company founder Marc Ewing was given the Cornell lacrosse team cap (with red and white stripes) while at college by his grandfather. He lost it and had to search for it desperately. The manual of the beta version of Red Hat Linux had an appeal to readers to return his Red Hat if found by anyone! SAP: "Systems, Applications, Products in Data Processing", formed by 4 ex-IBM employees who used to work in the 'Systems/Applications/Projects' group of IBM. UNIX: When Bell Labs pulled out of MULTICS (MULTiplexed Information and Computing System), which was originally a joint Bell/GE/MIT project, Ken Thompson and Dennis Ritchie of Bell Labs wrote a simpler version of the OS. They needed the OS to run the game 'Space War' which was compiled under MULTICS. It was called UNICS - UNIplexed operating and Computing System by Brian Kernighan. It was later shortened to UNIX. SCO (UNIX): From Santa Cruz Operation. The company's office was in Santa Cruz. Xerox: The inventor, Chestor Carlson, named his product trying to say 'dry' (as it was dry copying, markedly different from the then prevailing wet copying). The Greek root 'xer' means dry. Yahoo: The word was invented by Jonathan Swift and used in his book 'Gulliver's Travels'. It represents a person who is repulsive in appearance and action and is barely human. Yahoo! founders Jerry Yang and David Filo selected the name because they considered themselves yahoos.